For candidates seeking admission to ITI programmes, the Directorate of Skill Development, Madhya Pradesh will declare the Merit List as MP ITI Result 2018. Candidates need to make themselves aware with the selection procedure of their respective state as the selection procedure varies from state to state. 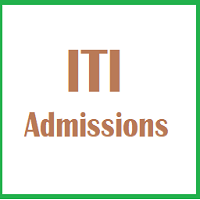 All the candidates will get admissions in ITI courses in different Private and Government institutions. After following admission procedure, candidate can take admission in desired trade/course. The eligibility criteria need to be fulfilled by the applicants. Check all the details about MP ITI Result 2018 in the article below. On the basis of merit list, admission will be allotted to the eligible candidates. On the basis of marks secured by the candidates in qualifying exam, merit list will be prepared. Those who secure their name in merit list will further have to appear in counselling process. Candidates will have to log on to the official site as https://iti.mponline.gov.in/portal/services/iti_uni/result/Result_Online.aspx. Follow the link of result. Here you can see your result/allotment of college. For any other query – call or send E-mail. Candidates have to appear in the counselling process as per the directions. For finalizing admission process, it is mandatory to appear in the counselling. The authority will verify candidate’s documents related to age, education, category etc. The competent authority has power to take call on admission of any individual and each candidate bound to follow it. Candidate should have attained minimum 14 years of age for making application. 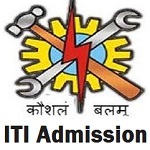 To become eligible for ITI courses, candidate must qualify 10th class examination from a recognized board/institute. Those who found ineligible, their application form will be rejected.